Kakteen Orch. Rundschau 1980(1): 2 (1980). HS 13 (Collector Heinz Swoboda) Aiquile to Mizque km 20, Mizque, Cochabamba, Bolivia, 2450m. Habitat: It grows in rocky slopes and crevices. 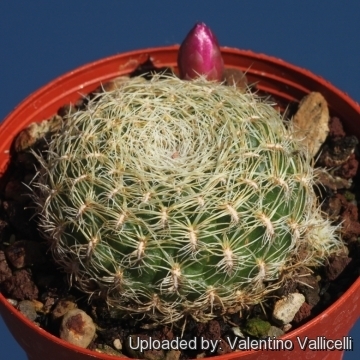 Description: Sulcorebutia albissima (a.k.a. 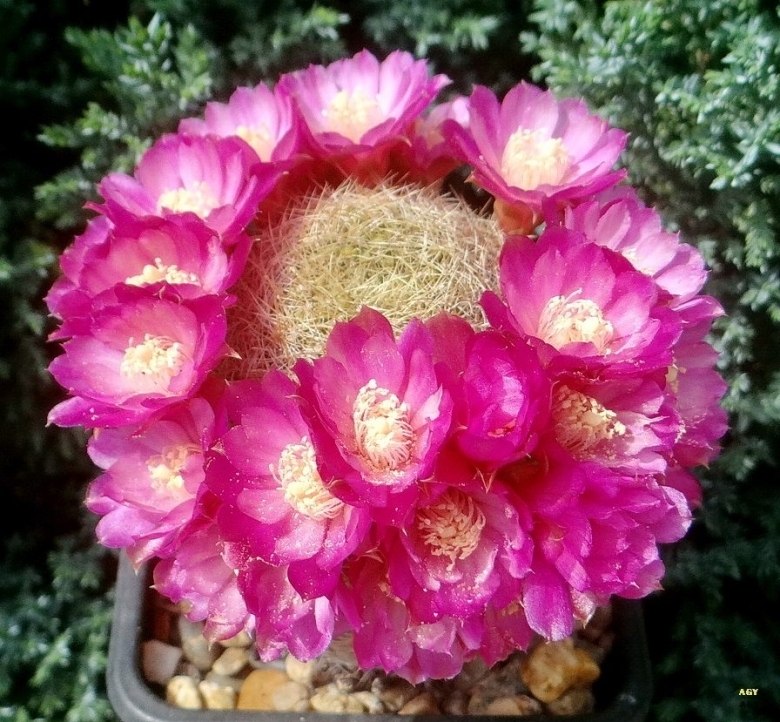 S. albata or S. albida) is one of the innumerable local form of the very variable Rebutia mentosa with squat clustering stems and outstanding purple blooms. Others forms are similar and plants from other localities look more like it. Radial spines: Off-white, greyish, to light brown, pectinately arranged, lying against the surface and interlacing, stiff, needle-like, slightly curved, and the spination of well-grown specimens is pleasing.